They just didn’t know that it was due to heating by the sun’s rays and the naturally occurring ozone and hydro peroxides found in the air that were able to kill and limit the growth of many harmful “germs” finding their way into our homes via people, food, and pets. Today, we understand that once these “germs” get inside they can spread from person to person, from person to surface, and then back again. Many of these germs are then “caught” in the home. According to a World Health Organization report in 2003, about 40% of reported food-related outbreaks of infection in Europe occur in the home. Since the advent of air conditioning systems, opening windows to let in fresh air is not as common of a practice as it once was. And, as these systems became more and more efficient due to the rising costs to operate them, the need to tighten up the leaks in our homes became a priority as well. With less fresh air getting into the house, air quality has become a big concern. How Do I Maintain the Air Quality in My Home? 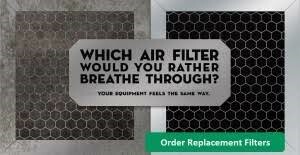 A clean air filter will keep things like dust, pollen, pet hairs, etc. from recirculating throughout your home. This alone can help cut down on some common allergies. 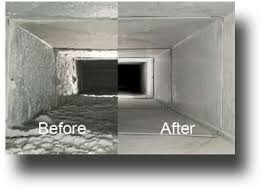 A clean duct system will also cut down on recirculating mold and dust throughout the home. Our team of technicians and comfort advisors at Annison-Bitter Heating and Air are trained to provide answers to these concerns and problems. We offer a full line of products and services designed to keep the air quality of your home healthy. Are you looking for air conditioning and heating services that can help maintain the air quality in your home or commercial business? Call (225) 500-2035 to request a free estimate from our technicians in Denham Springs.